Here is a picture of me and Brother Forest Lockaby. 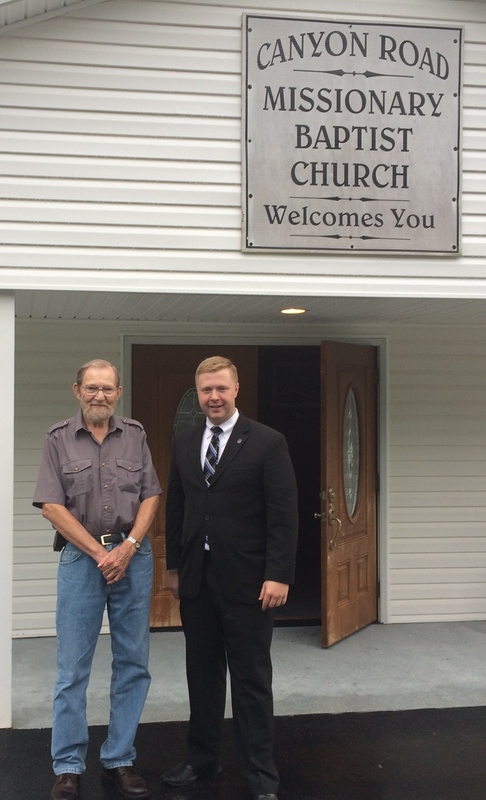 Forest is a deacon at Canyon Road Baptist Church in Marble, North Carolina. I was fifteen when my dad first came to Canyon Road as pastor, and he was there for about seventeen years. I was excited about serving the Lord and many times would speak in the service, opening up with a devotional, and sometimes even conducting the whole service. Brother Forest was a great encourager. He is the first person besides my parents that I told that God had called me to preach. When I spoke in church he always encouraged me, and he believed in me. Are you encouraging anyone? Is there a young person who twenty years from now will be able to point back to you and say, “that person was a great encouragement to me”? I can look back over my life and see that all along the way God has placed people in my path to strengthen me and challenge me through their words of encouragement.